As a 10-year-old girl, the staff at the Southside St. Cloud Boys & Girls Club taught Faisa that her dreams were really possible. She connected with a staff member named Hamdi, who came from a similar background. He taught her that she could lift others to succeed. Today, Faisa is a staff member because she wanted to be there for kids just like her. It’s helped her figure out her future career – social work – and realize that she’s meant to be a foster mother. 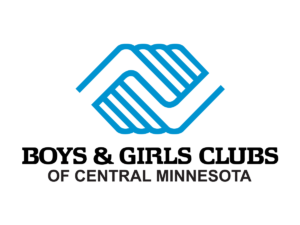 Stories like this aren’t rare at the Boys & Girls Club of Central Minnesota. Young people connect with and learn from staff, solidifying their future as productive, caring, responsible citizens. And when they grow older, many young people return as staff members to give back. Take Alyssa, who first started attending KIDSTOP as a quiet kid, but soon learned to stretch her comfort zone and make new friends. “Today, I help kids find their strengths as a KIDSTOP Program Manager,” she says. Jerome Akubue was also a quiet kid before he started going to a Boys & Girls Club at age seven. The staff helped him build his confidence. By high school, he was on his school’s speech and theater teams. Today, Jerome is a new pre-med graduate from St. Cloud State University, with plans to attend medical school. Tia Arnzen also found her path altered. As a second grader, KIDSTOP was a place for her to have fun and learn social skills after school. But it also made her realize the kind of impact she could have and inspired her to return as a staff member. Her experience as a staff member has inspired her to attend college, with plans to teach literature. The Boys & Girls Club aims to enable all young people, especially those who need us most, to reach their full potential. Our staff are crucial pieces in that process, teaching young people about leadership, character development, social skills and overcoming obstacles. For staff, it’s an opportunity to lift up others. For the young people they help, that influence can be life-altering. For more information about how you can get involved, visit our website. Previous Previous post: Boys & Girls Club is hiring! Next Next post: Support Youth Arts Initiative on Give to the Max Day November 15th!